"Our candidates this year are amazing, confident, and courageous young women, who I really appreciate both as individuals and as a group," CHS Principal Ayesha Freeman told THE BEE before the program began. "What I appreciate especially about this year's group of young women is how well they are supporting each other through this process, this journey." Then Cleveland's 2019 Court members, Sophia Mecklem, Abigail Kempter, Isabel Gibson, and Lindsey Hausafus glided gracefully to center stage. 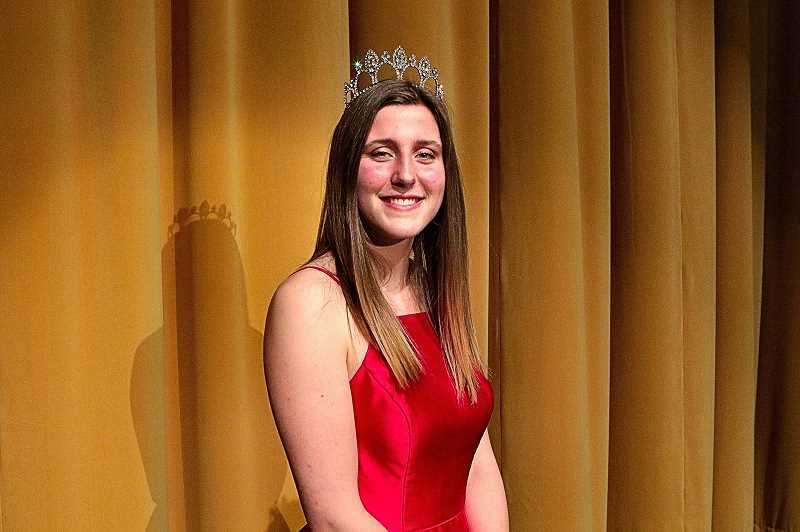 After introducing the Portland Rose Festival Foundation officials present, CHS Vice Principal Kristy Mize didn't keep the crowed waiting – and introduced Lindsey Hausafus as the student who'd be representing their school this year as Princess. 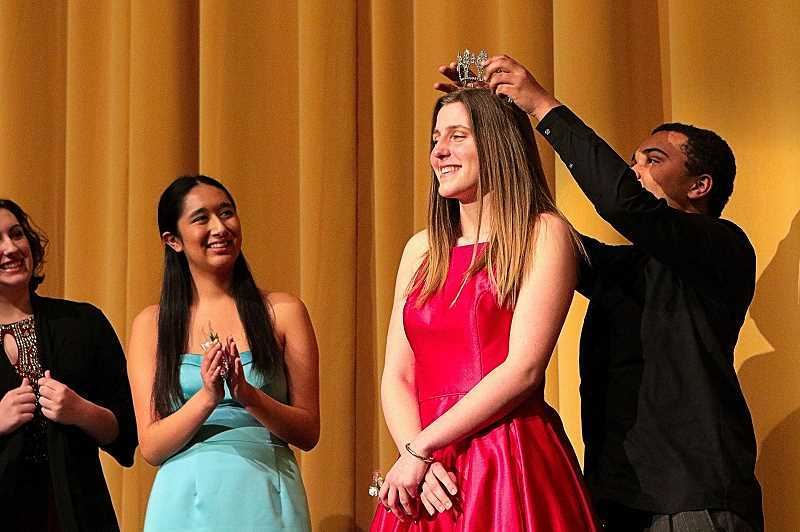 After the ceremony, Princess Lindsey told THE BEE she's from Eastmoreland, and attended Duniway Elementary School and da Vinci Arts Middle School, and will now be graduating from Cleveland this year. "My Court, they're so wonderful!" she exclaimed. "Behind the curtain, before we went on stage, we were talking and dancing together to relive some of the stress we were feeling. They're so supportive, and I'm so happy have been able to go through this experience with them. "Because I volunteer a lot here, I look forward to representing the Cleveland Warriors outside the Portland community, as I travel with the group of ladies [the other schools' Princesses] who are as passionate about our city as I am," she said. She remarked that she loves the Starlight Parade – and, because she's never been a participant, looks forward to being in that one, as well as the Grand Floral Parade.